According to the report “Global Baby Gourmet Food Market Research Report to 2022” by Market Research Future, the global market for gourmet baby food is expected to grow by 3% annually between 2018 and 2022. The high nutritional value of these foods makes them very important for babies’ absorption of solid food. The reason for the increase is the rapidly growing population in developed regions and rising disposable incomes. The vegan trend is also reflected in the market for baby food. In June 2018, Nestle announced the development of a vegan baby food and applied for a patent for this product. The product was specially developed for babies with milk allergies, and consists of microparticles of potato proteins. In Germany, too, a Berlin start-up called Nuri is working on vegan baby food. Manufacturers are now trying to create different flavours with creative combinations. In addition, the use of organic ingredients and the absence of preservatives are creating an increasing demand for gourmet baby food on the world market. 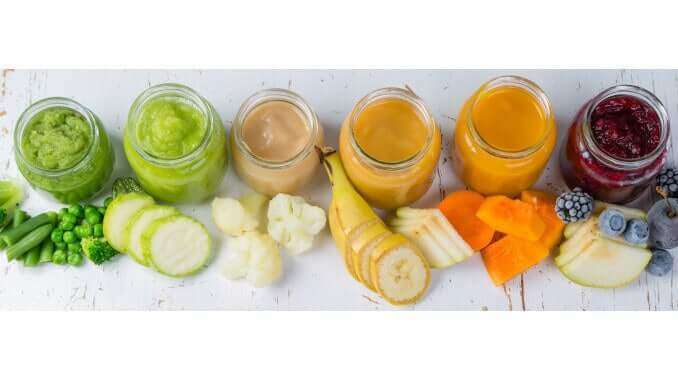 The innovative approaches of manufacturers, such as the availability of resealable, recyclable and biodegradable packaging, are having a positive impact on the expansion of the global gourmet baby food market. The report shows that increasing investment in research and development to introduce new flavours is strengthening competition among stakeholders. Gourmet baby food is an emerging market, so there are many opportunities for the global market to develop with the entry of new players. The report also mentions some of the well-known manufacturers: Kuhne Gourmet Selection, Fig, Baby Gourmet Foods Inc, Parent’s Choice and Squoosh.